Did Your Wet Pasture Get Mucked Up? Don’t Worry! Occasionally we can experience what looks like some pretty substantial pasture damage with high high stock density grazing in wet conditions, but first looks aren’t always what they appear to be. Each picture tells a little bit about the results. Here is the scenario, the pivot passed over this paddock in the night just before the cattle were put on the morning of July 27. On July 27 it rained 1.15″ which is well over our usual total for the month (.86″). 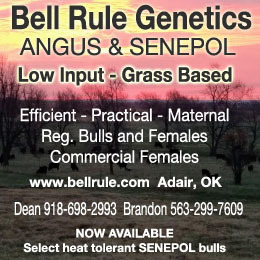 There are 943 beef animals in the herd including 388 cows, 376 calves, and 178 bred heifers. they are on 6 acres. That puts the stock density at about 120,000 lbs liveweight/acre on a 24-hour move. In the picture below I had just moved the herd off the paddock in the center. You can see the combined effect of 3/4″ of water from pivot overnight and 1.15″ of rain through the day. Note where the peaks are situated in the background for future reference. This picture gives an idea of the spatial density of the cattle. Here’s another shot. The field almost looks like it was disked! That is the impact of 120,000 lbs/acre stock density on a wet pasture. Below you can see what it looked like just a couple hours later after the sun had shone on the ground a little bit. It does look like a tilled field. One side note here, there were thousands of dead voles on this paddock and the ravens & magpies had a picnic. Two weeks later and the trampled paddock is already recovering. Remember this is the same line we were looking at that looked like it had been fully disked on the right hand side. Below is the pasture again, just prior to being grazed 60 days later on September 28. The fence is in exactly the same position it had been in the first photos in this series. Note that there is no visible difference in the standing crop when you look across it like this. Yes, there was a little more open soil when you looked straight down into it. All of the surface litter had been trampled into the soil during the July 27 grazing event. Here is the post-grazing line comparing the two sides. In the late September grazing cycle, the trampled (left side) paddock yielded 81 AUD/acre while the non-trampled (right side) paddock yielded 80 AUD/acre. It had looked like a mess, but the bottom line is when the paddock was grazed again 60 days later, there was basically no difference between the ‘damaged’ pasture and the ones to either side. All three yielded right around 80 AUD/acre. This last shot pulls in the strip that had been grazed on July 26 (at the far left), the paddock ‘damaged’ on July 27, and the July 28 paddock. While the graze line on the right side is barely visible, there is no sign of a differential effect on the left side at all. Bottom line, don’t panic if the cattle muck up a pasture. Just get them off right away and continue with the movement across the pastures. Nature will heal itself pretty quickly when water is in the equation. How Much Phosphorus Do We Want in Our Soils? 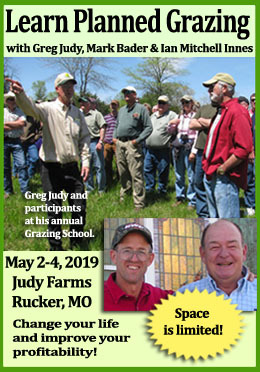 Jim Gerrish is the author of "Management-Intensive Grazing: The Grassroots of Grass Farming" and "Kick the Hay Habit: A Practical Guide to Year-around Grazing" and is a popular speaker at conferences around the world. His company, American GrazingLands Services LLC is dedicated to improving the health and sustainable productivity of grazing lands around the world through the use of Management-intensive Grazing practices. They work with small farms, large ranches, government agencies and NGO's to promote economically and environmentally sustainable grazing operations and believe healthy farms and ranches are the basis of healthy communities and healthy consumers. 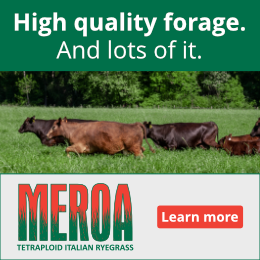 Visit their website to find out more about their consulting services and grazing management tools, including electric fencing, stock water systems, forage seed, and other management tools. Is It Residual or Is It Residue? What is the general and specific soil classification of this pasture? Jim, this is classified as Pahsimeroi gravelly loam. The response on a heavy clay soil would likely be different. When we were in MO, we had experiences similar to this on silty clay loam and silt loam soils. The negative results were only slightly longer lasting if we moved the cattle to a new paddock immediately following the pugging event. If cattle were left for several days on the same ground, the the negative effect could last a couple of years. It isn’t the first hoof that hits the wet ground that does the damage. It is the 20th, the 50th, the 100th…. How mature is the forage stand? What I think that I’ve seen is mature stands with good root mass recover well while new seedings haven’t rebuild soil structure and put down enough roots to prevent damage. Great job of taking pictures, worth more than a thousand words. This was seeded before we came to the ranch. It is my understanding it was seeded to orchardgrass, meadow brome, and alfalfa in 1997. We added red, white, & alsike clover in 2006. All other grasses are volunteer. Even though you did not realize a difference in production between impact levels that grazing season, I would be really interested to see over the next couple years if that one paddock out performs or under performs the other paddocks. And then to couple that, what would be the optimal interval for “hoof-tilling” a paddock for best returns if production increases over time. Will be a very interesting experiment to watch over time! We will monitor it. That is what we do.